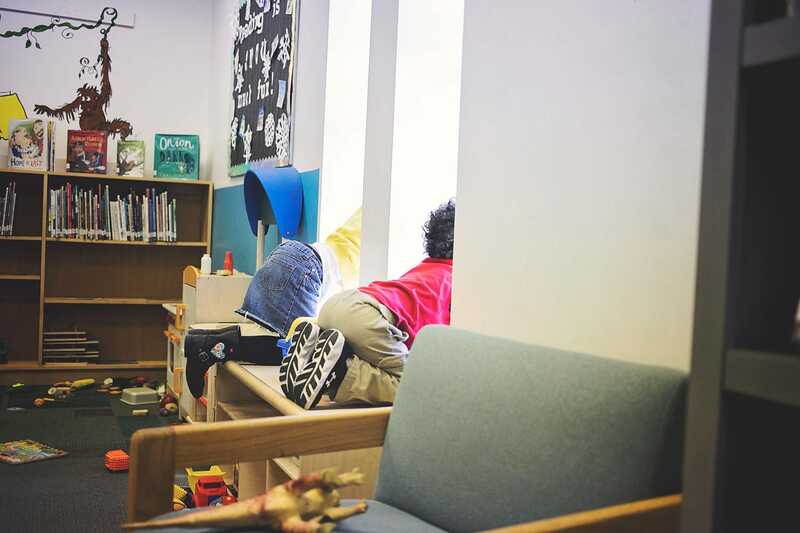 Lil’ J was tumbling through the playroom as I read off a list of signs of stress from a book I was reading. Part of me wanted to laugh. Another part of me not only empathized with her, but admired her ability to recognize that. My parents would be like “You’re kids! What do you have to stress about?” But I’m listening. Or trying to. The book is called Mind Over Basketball: Coach Yourself to Handle Stress and it’s about a boy who loves basketball, but has a lot going on in his life that’s affecting his game. He meets a gentleman who helps coach him while also giving advice for handling stress. Each chapter pushes the story forward, then has an informational section about stress. My oldest daughter and I are enjoying reading it together. I’ve even begun to notice her using techniques from the book on her own. Our kids are so capable of holding mature conversations about our bodies and minds. When I hear of “stress” I think of an adult concept but children very well experience it too. Reading books with creative ideas and important messages help us navigate through challenges like stress. 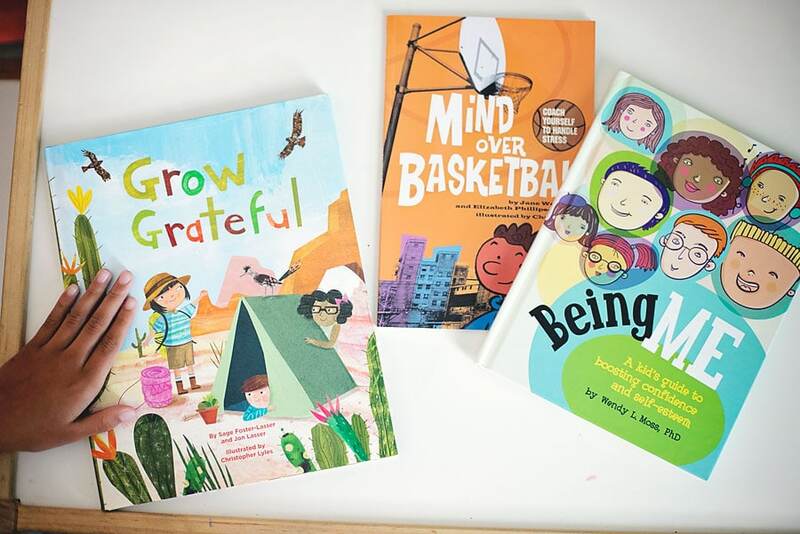 Magination Press Family is a publisher that has a slew of diverse children’s books that encourage mindfulness and thought-provoking discussions with our children. It’s like a pot of gold for my homeschooling mama heart. This weekend, Jon Lasser and Sage Foster Lasser the authors of another great book, called Grow Grateful are coming to Austin for a book reading and signing. Lil’ J, Big T, Lee Lee and I will be hanging out and learning more about this important topic. We’d love to see you there! The book is a about a girl who goes on a camping trip with her class and learns a lesson on gratitude. 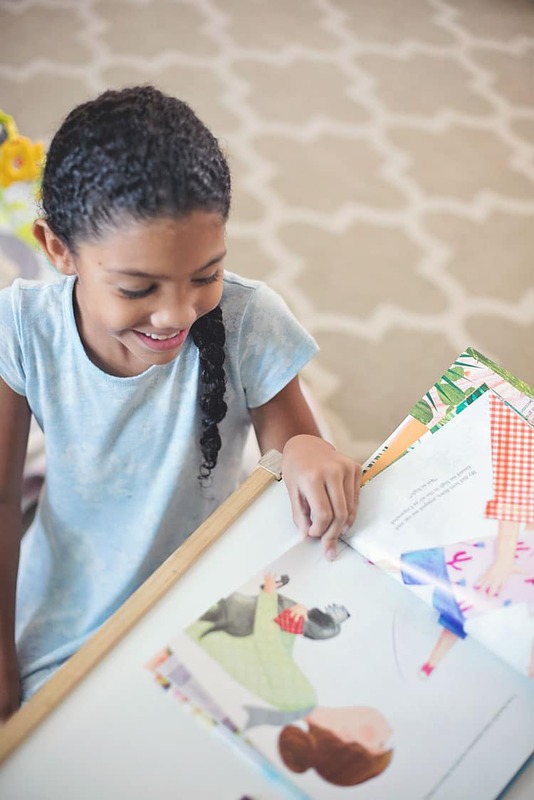 Gratitude is something we discuss often in our family, but I love when books bring a colorful story and new perspective to the table and allow us to approach the topic differently. This book is based on the “theory of mind,” which is the ability to take perspective of others and recognize that each person has their own thoughts, feelings, and perspectives. There’s a nice “Note to Parents and Caregivers” section that gives information on teaching children how to be grateful. Which is an important topic anytime but especially prevalent this time of year. The authors will be there to sign copies of the book and do a special reading. It’s this Saturday, October 20th at BookPeople at 603 N Lamar Blvd, Austin TX 78703. “Let’s read 365 books!” We said “It’ll be great!” We said! Well it hasn’t been a cake walk, but it has been fun. 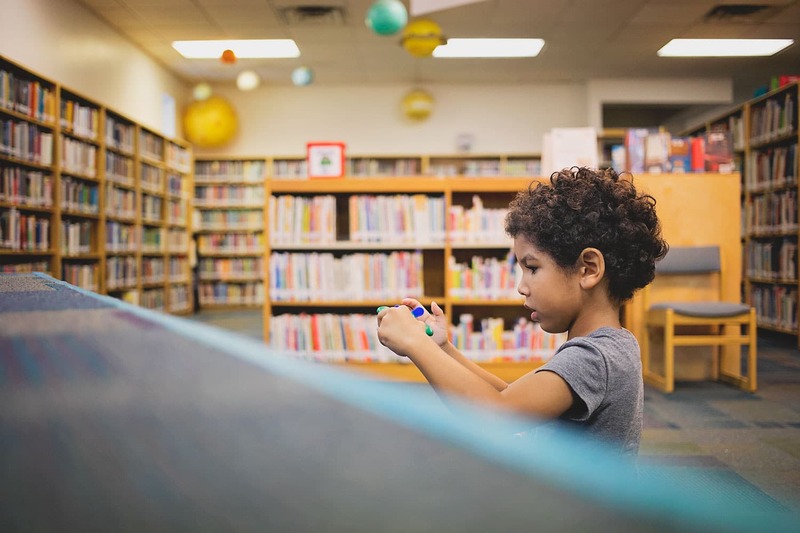 Earlier this year I mentioned my goal to read 365 books with my kids. One month down and our determination to meet this goal, plus desperately needing a break from the craziness of our world has kept us on track so far. I was inspired by my friend Sili who blogs over at My Mamihood. She mentioned she and her daughter are reading 200 books this year. I asked my daughter if she wanted to commit to the challenge and she said yes! At first she said 400 but we settled at 365. With homeschool we read A LOT together and we finished 6 chapter books in one week this month. From classics to Shakespeare, to history, adventure and fantasy, I’m excited to see where this year of books takes us. 1. Picture books are A-ok. Those will be quicker and my go-to especially with my son who doesn’t have as big of an attention span. 2. We are only counting each book once. So even though we may read some of our favorites more than once, we are only counting completed books one time each. Obviously our chapter books (like Harry Potter) will take much longer to complete. I’ll have a list of books in-progress books too. 3. Books I read to her or her brother count. And books daddy reads too (though he usually defaults to our favorites). It’s a family effort. We’re counting books read aloud together. Not books she reads (or I read) on our own. 4. A book counts from cover to cover so multiple stories in one book will count as just one book. At the end of the month I’ll list what we’ve read, what’s in progress and our favorites. The most beautiful part of this experience so far has been feeling the closeness between us. My daughter has been trying to finish her dinner, brush her teeth and get ready for bet a little earlier so we can read together longer. My son brings me books to read (he rarely did this before). When they randomly ask me to read a book I will almost always drop anything to do it. I also love the variety of books we are exploring together: Shakespeare, historical fiction, adventure, fantasy, Greek mythology, and non-fiction. It’ll be fun to see what else we explore this year. This month we are on track and completed 31 books including 9 chapter books together. Another four novels are in progress. If you want to keep up throughout the month you can friend us on Goodreads. 24. How Do Dinosaurs Say Merry Christmas? 28. How do Dinosaurs Go to School? *= Notes our favorites. I’ll highlight a few of them below. **= Our favorite book of the month. 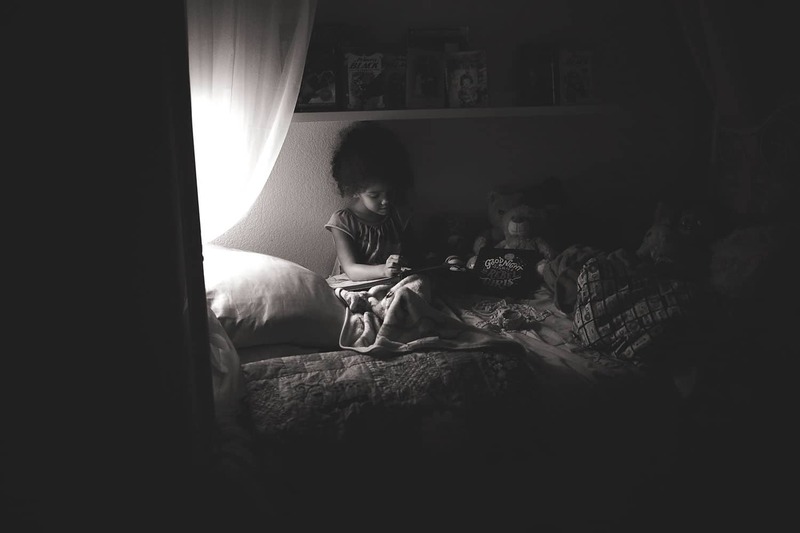 Lil’ J was enthralled by The Talking Eggs, a story of a little girl who encounters a mysterious woman in the woods after running away from her harsh family. A colorful folktale that captures the unique flavor of the American South. It’s a classic I remember hearing for the first time in my school library as a child. I was so excited when I saw it at a thrift store and brought it home for my kids. It’s a favorite we hadn’t read from our pile in a while but we happy to revive to kick off our year of books. We discovered this by chance as I was leaving the library and glanced at the CD section. I grabbed Addy–The story of a girl and her family in slavery and their plan to escape. The story is so exciting, and the narrator is wonderful. My daughter couldn’t get enough and she asks me to play it often. She says her favorite book was book 2 because it’s about friendship but she also enjoys the later books. The first book was my favorite, but my daughter didn’t like hearing about the harsh realities of slavery. 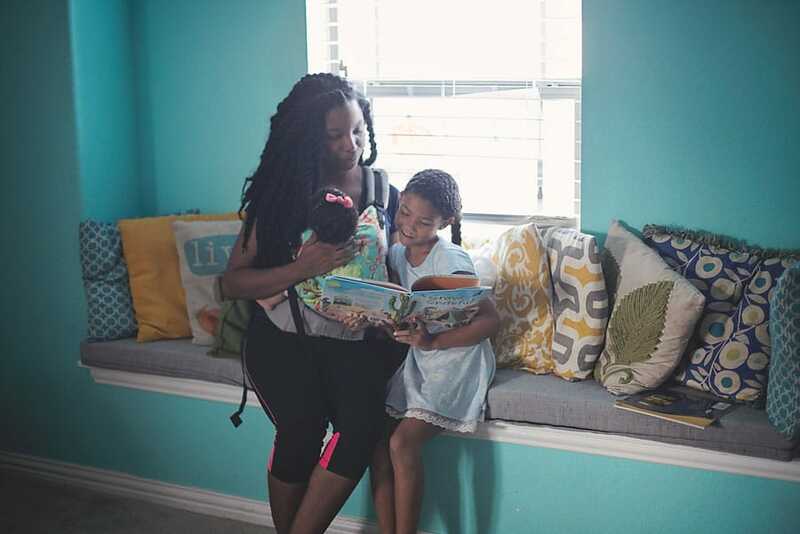 The book doesn’t have many violent descriptions but coupled with her knowledge of slavery after our visit to the National Museum of African American History and Culture–She (understandably) doesn’t enjoy those stories. This was surprisingly our favorite book this month. We’d sit and read it for an hour each night and discuss six of Shakespeare’s comedies and tragedies. The stories were well abridged to include the main parts of the play and make it understandable for children. There were also lines from the actual play within the illustrations. Her favorite is Twelfth Night, though she loved Romeo and Juliet until the end. Her second favorite is a Midsummer Night’s Dream. During Hamlet she gasped at the end and covered her ears worried about everyone dying. It was hilarious and SO fun to enjoy together. I had no idea she’s be a Shakespeare fan. We have a similar Greek Mythology book by Usborne I’m wanting to read together this month and hoping we enjoy it as much. 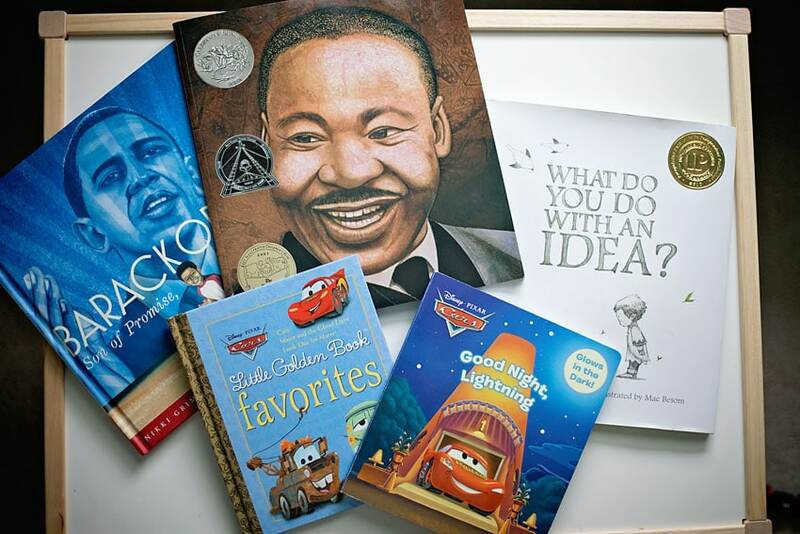 Another great book and one I’d recommend you read with your kids this Black History Month. It’s been one of our favorites for years and a book we read often. My daughter will often talk to be about “love not hate” and how Martin Luther King Jr. was such an example for us. This month I plan to add a lot of Black History books to the mix. We will hopefully finish the Melody American Girl series based during the civil rights era and in co-op we are studying the artist Horace Pippin. No doubt I’ll also be at the library digging up a fresh batch of books. 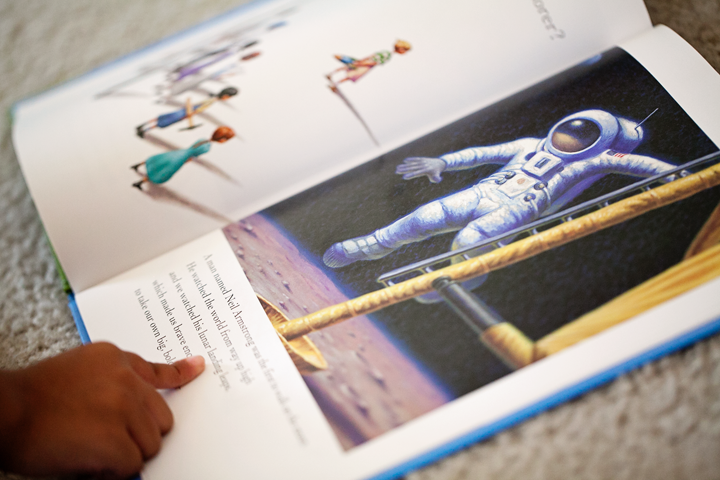 What good books have you and your kids read lately? Let me know! I’d love to add more to our queue. Everyone talks about books being SO good for us… Great for the minds and what not. 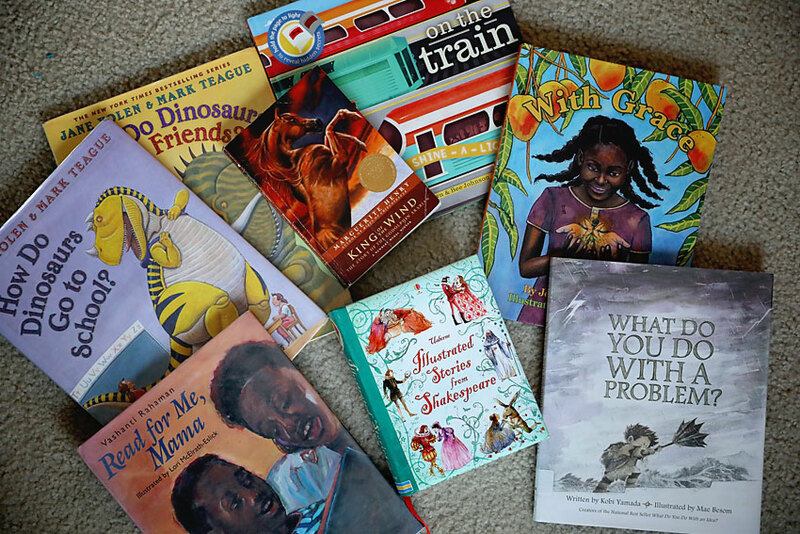 We should read to our kids, and get them to love reading! I don’t deny all of this. However, there is a dark side to books that people rarely talk about that I’m going to lay all out there today. You know how the experts talk about addictions being bad when they begin to interfere with your everyday life? Hello new science fiction novel! What have you done to me? I barely broke away to write this post. I just wanted to pop in and tell you I’m still alive, all is well, the kids are ok thanks to their father, and hopefully I’ll finish the series quick enough so I won’t be gone too long. Over the weekend I finished books 1 and 2, and I’m about a third through book 3. Oh forgive my rudeness, I didn’t tell you what book. I’m reading The Lunar Chronicles series. It was one I put on my list to start once I finished Harry Potter and it just took me awhile to pick up and get going. Even a few chapters in I wasn’t hooked but somewhere around chapter 10 it was all over. Bye kids, bye husband, bye work, food, and other inessentials. Sometimes I think it’s just me who has this problem. But after sending a few snaps about my book a friend asked me what I was reading, and is also now sucked into the vortex of this series. Well, she may already be out on the other side. A few hours after telling her the name of the book she was already reading passed me and onto book two. I guess I could tell you a little of what it’s about. Though my description may not peak your interest. It’s a science fiction twist on the fairytale stories we’re familiar with. The first one being Cinderella, but in this story she’s a cyborg. I know I know, you’re probably thinking I’m not into that stuff. But really, did we think we were into stories about wizards or vampires before we ready Harry Potter or Twilight? No! So don’t knock it til you try it. Anyway, I’ve been away from my friends in this tale long enough and I want to see how they’re doing. Don’t worry I’ve got something great planned here on the blog tomorrow. Thankfully I scheduled it before I found a new series. Oh, and at the risk of falling to my addiction again… Do you by chance have any other books you could recommend, for when I’m done? I may need another fix. I Just Finished Reading Harry Potter. Now What? I’m not gonna lie, I’m kinda not sure what to do with myself at the moment. I know I’m one of the last people alive who hadn’t read the series but now I’ve done it. I’ve joined the club and I now understand all of the internet humor references to Muggles, Butterbeer and Draco Malfoy. I’d never watched any of the movies or read any of the books before. Well, maybe I’d attempted to read the first book a time or two, but didn’t find it captivating at the time. I was determined to try again. First, I feel like I need to explain why now, after nearly 20 years, I decided to dive in. I tend to turn movies on in the background while I work at night. One night several months back I noticed Breaking Dawn Part 2 was on and I was sucked in, and sucked back about five years. Isn’t it incredible how certain memories can be tied to smells, sounds, or tastes? A familiar scent can bring back a flood of emotions from our childhood. A song we hadn’t heard in awhile can move us to feel nostalgic. It’s not the movie itself that makes me sappy and emotional. But all of the memories that come back when I watch it, and listen to the score. 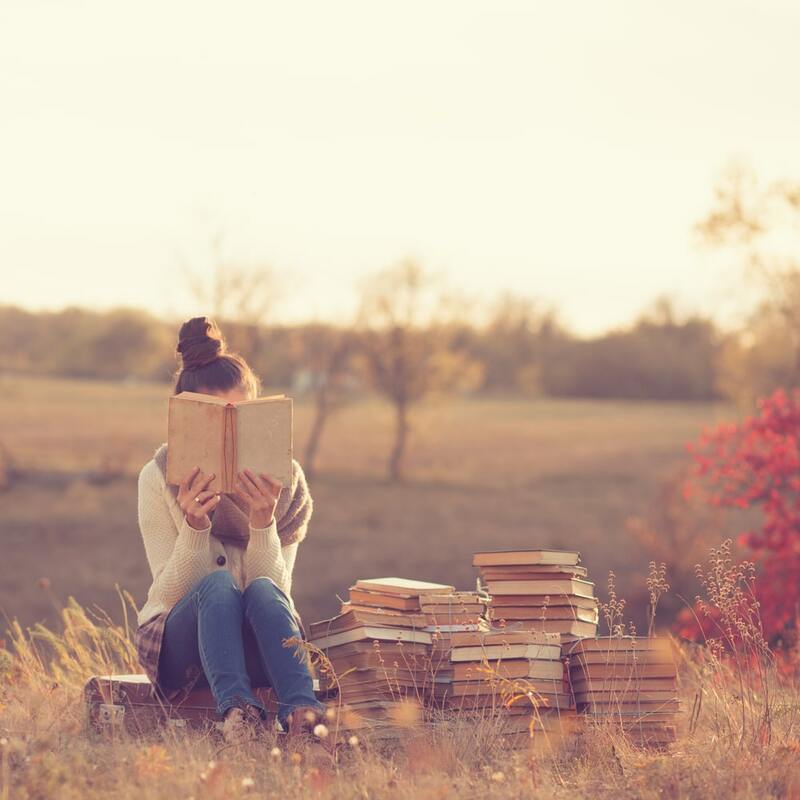 It made me wistful for a period of my life when I had more time with my husband, before kids–when I had time to sit down and read a book for hours before bed, just because I wanted to. I started the Twilight series well before it was the crazed fad that it is today. I can remember the night I started the book, buying the third book on opening day, and waiting in line for the midnight release of the final book. I saw Eclipse in theaters five days after I was due with Lil’ J (she didn’t come for another five days). It was one of the final days of my life that I’d ever experience boredom, and a certain kind of freedom you can’t get back after you have kids. I’m not sure if I’ve mentioned this before but a couple months after reading Breaking Dawn–just days after Twilight the movie premiered, I started this blog. I was itching to have a place to write about something other than news stories. As lame as it sounds, I’d be lying if I said Bella’s first-person account didn’t influence the start of all of this. So anyway, all of these memories came flooding back as I watched this cheesy yet personally-amazing movie! Taking note, I decided I wanted to replicate this. I wanted to take on another series that could encompass this time and phase of my life as I made my way through the books. I decided to read Harry Potter. Tired mom escaping to the bubble bath for a few short moments of quiet while reading a book. Sneaking in a chapter or two a night as I rocked my kids to sleep. Will that be what’s ingrained in my mind when I think back to the first time I read Harry Potter? Maybe. Lil’ J asks me night after night to listen to what I’m reading. I read her a few pages of the first book but was too eager to read at my own pace, and I told her I’d read it to her once I finished. Just as I was starting the final two books I noticed a new Illustrated Harry Potter book was released. I just ordered it tonight, and I plan to start reading it to her once it arrives. I’m not sure if it’ll have the same lasting impression other series of books have had on me. I think there’s something to say about the spacing of release dates, and corresponding movies spanning over a decade, and the anticipation and excitement that builds with that. However, 2015 will forever be the year of Harry Potter for me. And perhaps, the year of a kindled love for fantasy. It’s not quite what I imagined it to be. I was highly critical knowing I’m not into fantasy. Witches and wizards aren’t really my thing. But neither were vampires, so I got over my hang-up and dove right in. The first couple books may seem overrated but by the third book I was completely sucked in. That one is probably still my favorite. I was really amazed by Rowling’s creativity, especially from here on out. It was really hard to guess where she was going. I mean who things this stuff up? Don’t watch the movies first. I mean, it’s ok if you already have, but the books are SO much better. After you read the book put some space between watching the movie or the movie will be such a letdown. Once you’ve forgotten some of the details that are fresh in your mind you’re safe to watch the movie. I’ve held off watching the last three movies for this reason. I’m having a Harry Potter movie marathon by myself sometime soon. I think the book could possibly be most touching to parents. While I love a good love story, this series focuses on the love found in friendships, and between parents and children and at this stage in my life that really struck me, and even brought me to tears. As I closed the book (or turned off my iPad screen tonight) and heaved a sigh of satisfaction, my husband looked over at me and threw a curious look. 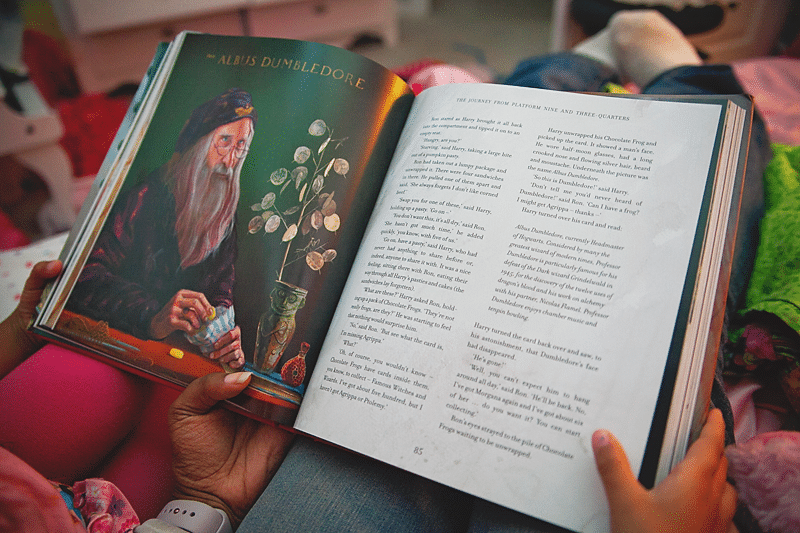 “I just finished reading Harry Potter,” I told him with a smile. He thinks he’s so funny. But yes, I’m back. Until I discover the next series to journey away with. 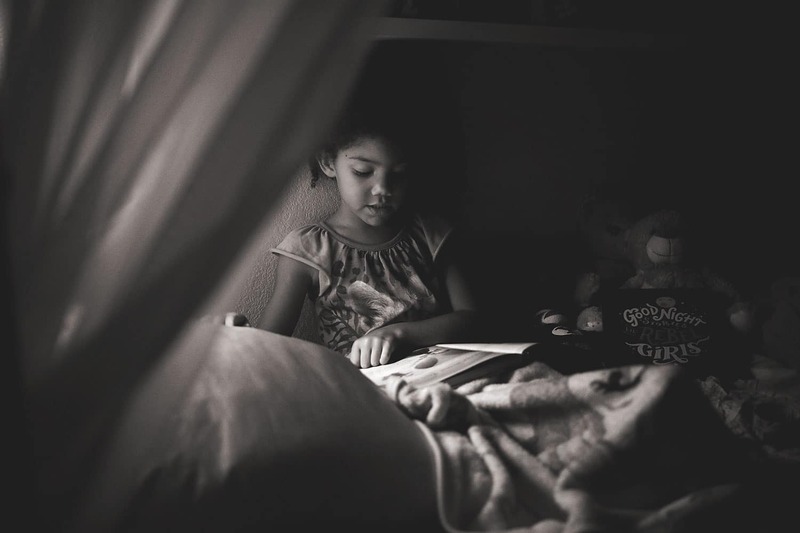 Even before my daughter could talk, our bedtime routine would be extended time and time again as she’d bring me another book, then another. She’s never been good at taking no for an answer. She loves stories. Whether we’re making them up on the fly, or reading them out of books. She can never have enough. 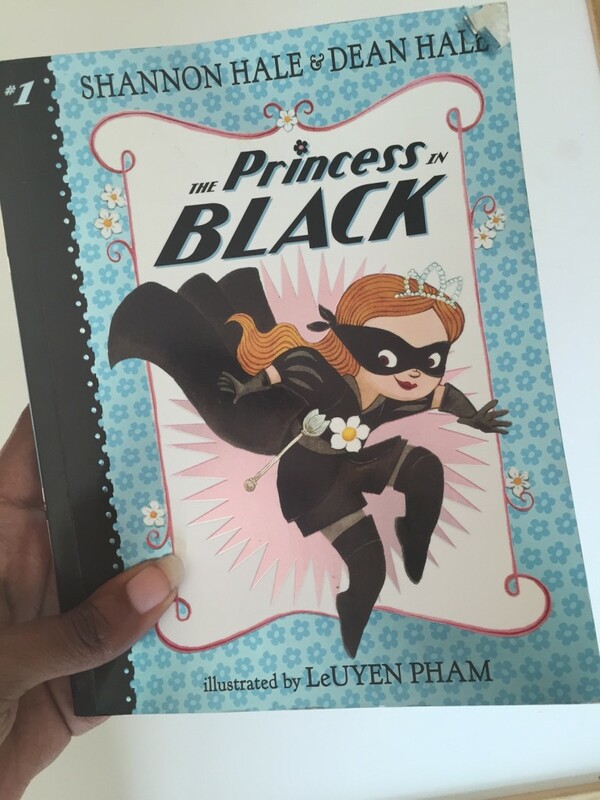 Recently we started (and just as quickly finished) reading The Princess in Black. A friend of mine recommended it to us since she likes princesses. It’s a short chapter book with photos, about a princess who is also a super hero (but no one knows this, because it’s her secret). She fights monsters and saves the day. So adorable, and easy to read. Lil’ J was hanging onto every word. We read half the book before bed and she brought the book to me while I was still in bed the next morning to finish. I hope her love for reading never fades. Reading can take you to around the world. We are also reading Anna Hibiscus. A book about a biracial girl who is half Canadian half African. Not as quick of a read, but also cute, and full of information that keeps Lil’ J asking questions. She’s started to enjoy “reading” books to her brother. Brown Bear Brown Bear and Moo Baa La La La she has memorized, and she’ll help me read them to him before bed. One afternoon I snapped some photos of the two of them fawning over a train book together. They were so stinkin’ adorable. 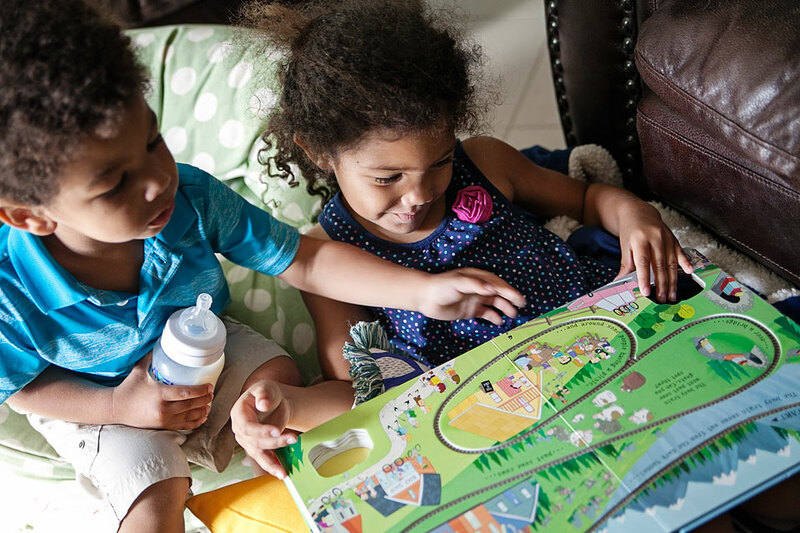 You can see the rest of this siblings cuteness on my Tampico is Color blog. Last year I got a new tablet for Christmas, downloaded a library app and have been checking out all sorts of books. I started the New Year reading the Divergent series. Here are a few of my favorites from this year and a little one-liner of my thoughts. Typically my favorite genre. I feel like I read more of these but these stand out the most. Divergent Series (3 books): I couldn’t put the first couple books down. Very fun to read. Matched Series (3 books): Also very good, it’s hard for me to choose a favorite between these two. Both were post-apocalyptic society-type books. Gone Girl: I read because it was recommended to me based on the books I’d been reading. I was seriously frightened and disturbed at some parts but it was an unexpected mystery book that I enjoyed. One of my goals was to read more auto-biographies this year. Is Everyone Hanging Out Without Me: A hilarious way to start my attempt to dive into biographies. 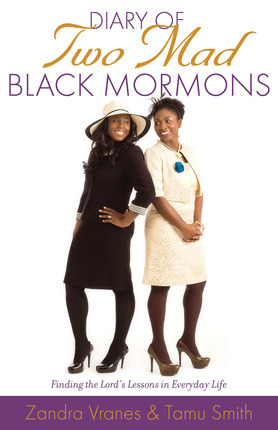 Diary of Two Mad Black Mormons– I bought this book before the publishing company sent me one because my friends wrote it. It’s hilarious, and uplifting, and a great read. You don’t need to be mad or black or Mormon to enjoy it. 5 Love Languages: My first “self-help” book and wow… I loved it, still reference it, and I just bought it so I can read it again with my husband. This category isn’t as long because we have so many classics and favorites that we read over and over. But there are still a few new ones that jump out at me. 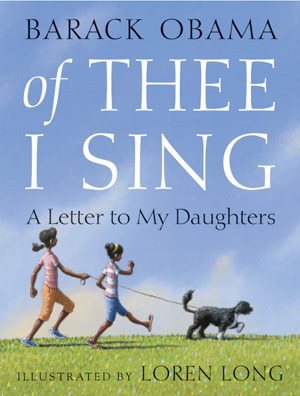 Of Thee I Sing: A historical book with gorgeous illustrations. Written by Barack Obama. The book tells short stories of boys and girls who grew to be miraculous men and women who changed our country. I love hearing Lil’ J talk about Jackie Robinson, Neil Armstrong, Jane Addams and Helen Keller. I want to find more books like this one. The Boxcar Children: Lil’ J was so excited to show me a new movie she discovered on Netflix. As she described it to me I realized she was talking about the Boxcar Children. I surprised her and downloaded a digital copy of the book so we can read it together at bedtime. I’m amazed at how interested she is in the story, and how she notices subtle differences from the movie. I’m hopeful we can continue to read this series together. I’m also re-reading Maya Angelou’s I Know Why The Caged Bird Sings, reading the Maze Runner series, the latest Percy Jackson book (I know, I’m a dork), and a book a friend from church wrote and is letting me read before some big publisher picks it up. I’m rooting for her! Depending on who you are (and how much you get to read) you may be wondering where I find the time. I don’t feel like I read THAT much. If I had it my way I’d plow through way more books. But the fact is I typically get to read after my work is done and the kids are occupied or asleep. But most often I’ll read while working out on a cardio machine at the gym or while I’m rocking each kid to sleep. 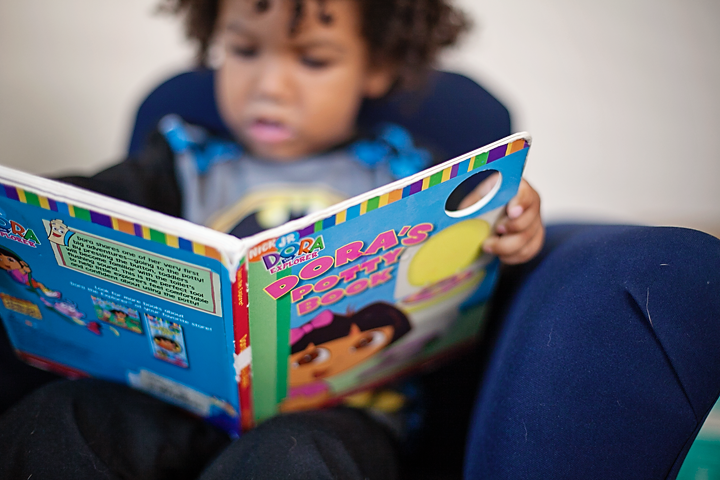 Nothing beats the smell and feel of a physical book… Unless you’re a mom who loves to read but lacks the time. Then a tablet beats that hard-cover book. I have yet to really get into audio books, I feel like they’re great for long drives and I don’t take those very often. I want my kids to grow up with a love for books no matter what format it’s in. 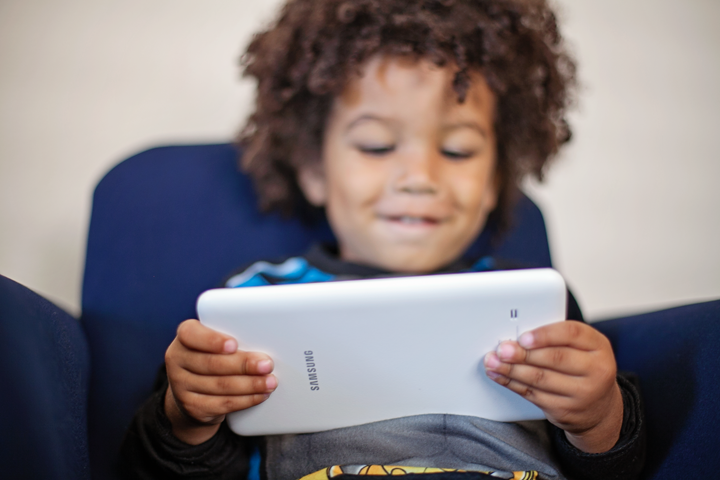 Our latest digital device is the Samsung Galaxy Tab® 4 NOOK®. It’s easy to hold with it’s 7-inch vibrant display. My son loves watching Elmo song videos on it, and my daughter has enjoyed sharing stories with me. 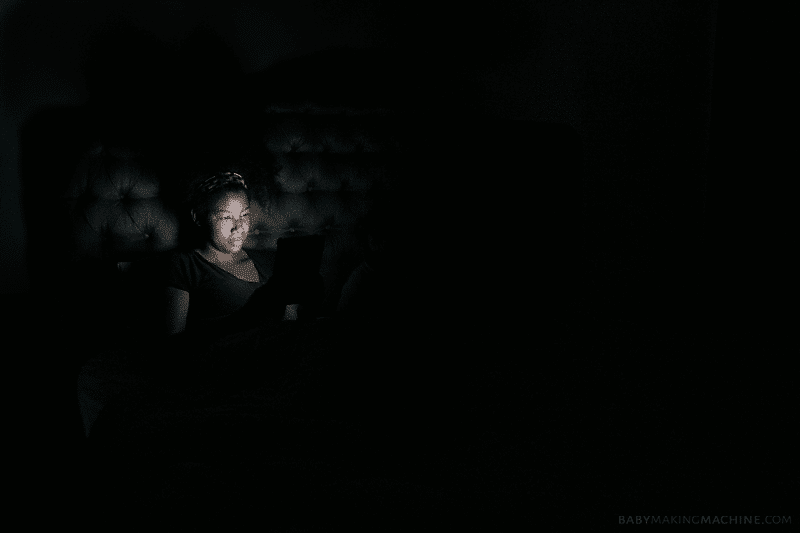 I can read in the dark while my kids are dozing off in my arms, or on the elliptical when I can’t steady a book. It’s also nice because I can put in some headphones and turn on background music, or even watch a show when I’m done. I always have it with me, and I can pick up reading where I left off while I’m waiting for dance class to end, or stuck in a long line. This isn’t meant to argue paper books vs digital books, just stating some of the benefits I’ve enjoyed and noticed this year since it’s been my first year as a portable tablet owner. Hopefully next year will be full of just as many or more enjoyable books. What have you been reading lately? What books do you recommend? 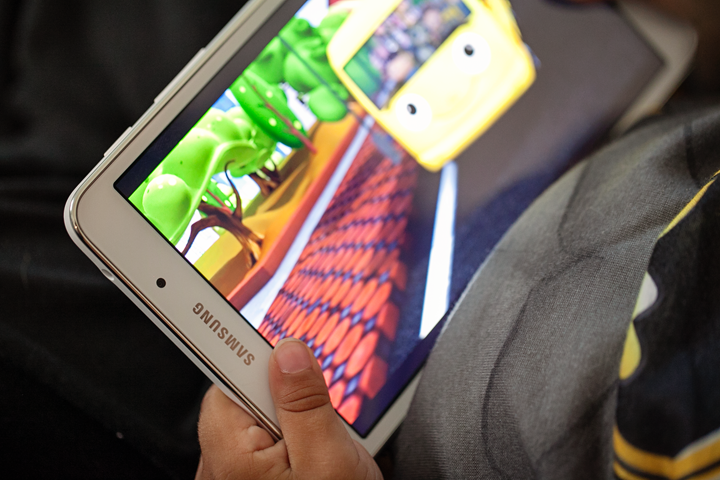 Visit this page and tell me what feature you like most about the New NOOK by Samsung, then leave a comment by Monday November 17th and you’ll be entered to win the New NOOK by Samsung which comes in black or white, and loaded with $200 worth of entertainment. The device also has front and rear cameras for picture-taking and epic selfies, GPS, and it’s a fraction of the cost of other popular tablets. My Facebook Fans, Pinterest Followers or Google Plus Followers get one extra entry. **Winner Alert 11/19** Cynthia who said “I am new to the Nooks. I’ve never own one but looks the information on the BN website I am excited about the parental controls. My daughter is constantly using my Ipad and going to other things that she is not supposed to go to. 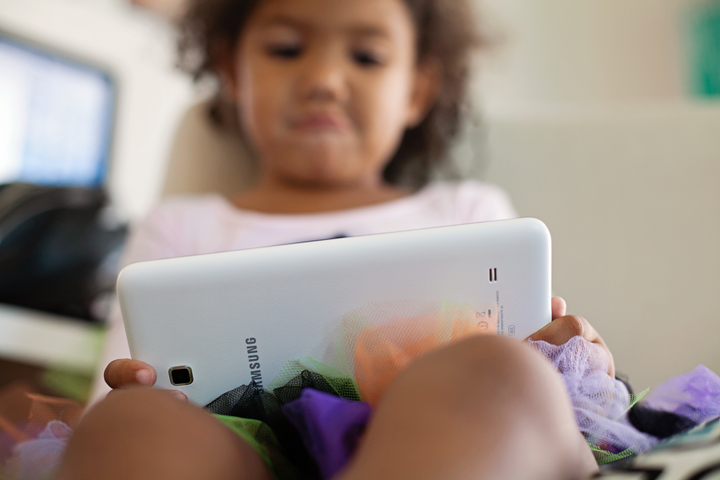 This feature will definitely keep her from going on Youtube etc.” Is the lucky Random.org winner of the New NOOK by Samsung. Thank you everyone for entering! Big thanks to Barnes & Noble and The New NOOK by Samsung for sponsoring this giveaway. Samsung sent me a tablet to test for the purpose of the review. All opinions expressed are my own.